The gold standard for diagnosing asthma in children is based on clinical history of respiratory symptoms, physical examination, and respiratory function testing. Recent advances indicate that a non-invasive measure of airway inflammation, fractional exhaled nitric oxide (FeNO), provides objective data for use in asthma diagnosis. However, the diagnostic performance of FeNO in children with asthma has not been clearly defined. This systematic review and meta-analysis aimed to evaluate the diagnostic accuracy of FeNO in the clinical determination of asthma in children. Databases of PubMed, the Cochrane Library, EMBASE, MEDION, and Web of Science were searched for relevant articles through March 31, 2016. A bivariate model was used for pooling estimates of sensitivity, specificity, diagnostic odds ratio (DOR), and area under the summary receiver operating curves (SROC) as the main diagnostic measures. In total, eight studies met the inclusion criteria, which included 2933 subjects. 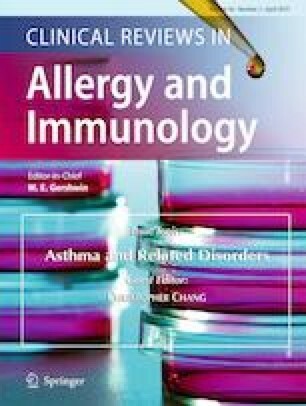 The pooled estimates of sensitivity, specificity, and DOR for the detection of asthma in children were 0.79 [95 % confidence interval (CI), 0.64–0.89], 0.81 (95 % CI, 0.66–0.90), and 16.52 (95 % CI, 7.64–35.71). The SROC was 0.87 (95 % CI, 0.84–0.90). In brief, FeNO achieves a moderate diagnostic performance in the detection of asthma in children. Songqi Tang and Yiqiang Xie contributed equally to this work. We would like to thank Dr. Wen Wu, Department of cardiovascular medicine, Nanjing First Hospital, Affiliated to Nanjing Medical University (Nanjing, China), for helping us in STATA software techniques. This work was supported by the National Natural Science Foundation of China (NSFC 81473668, NSFC 81473618, NSFC31272369, and NSFC31572319).